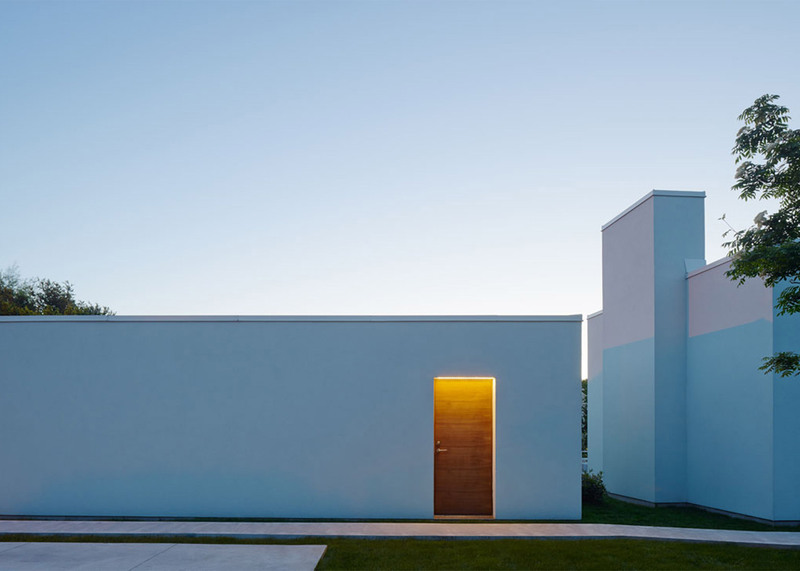 A spiral staircase provides an eye-catching feature inside this minimal white house completed by Swedish designer Jonas Lindvall in a seaside town outside Malmö (+ slideshow). 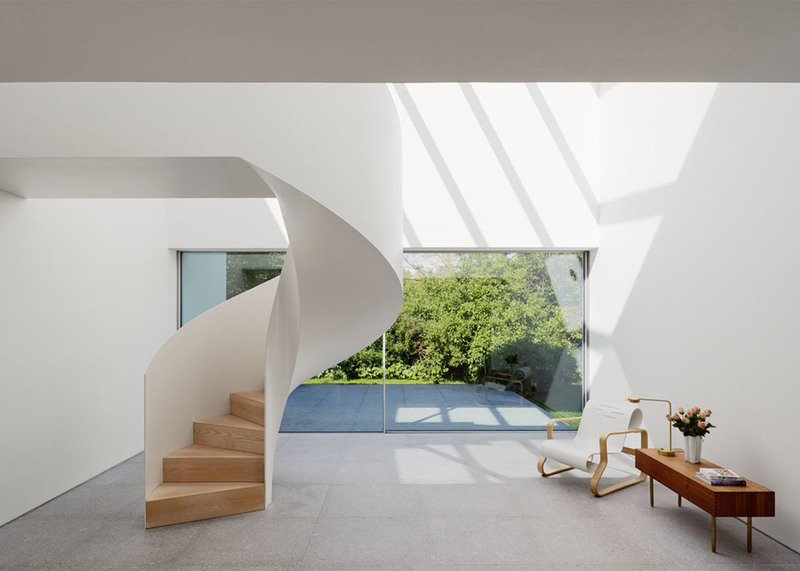 Described by the designer as a "sculptural focal point against the minimal architecture", the smooth white staircase stands at the junction between the house's two wings. 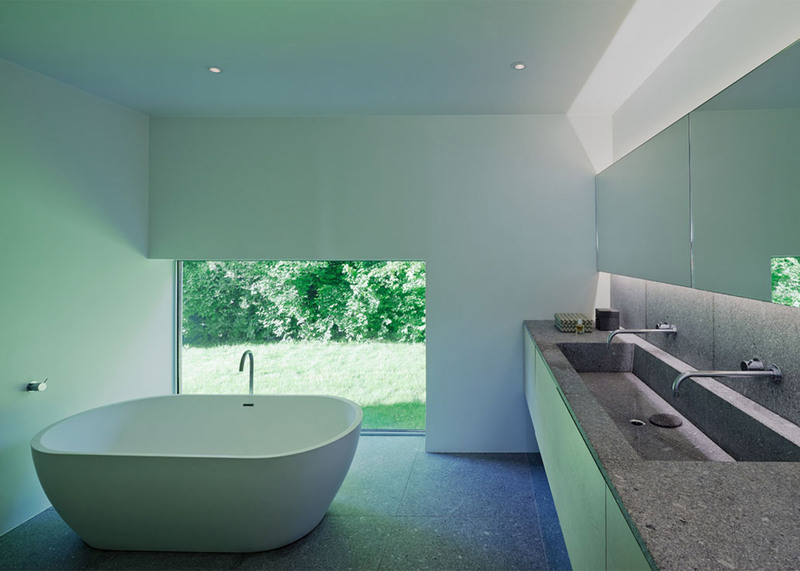 Rather than being enclosed in a small space, it has a whole room to itself and is one of the first things that visitors see when they come into the house. 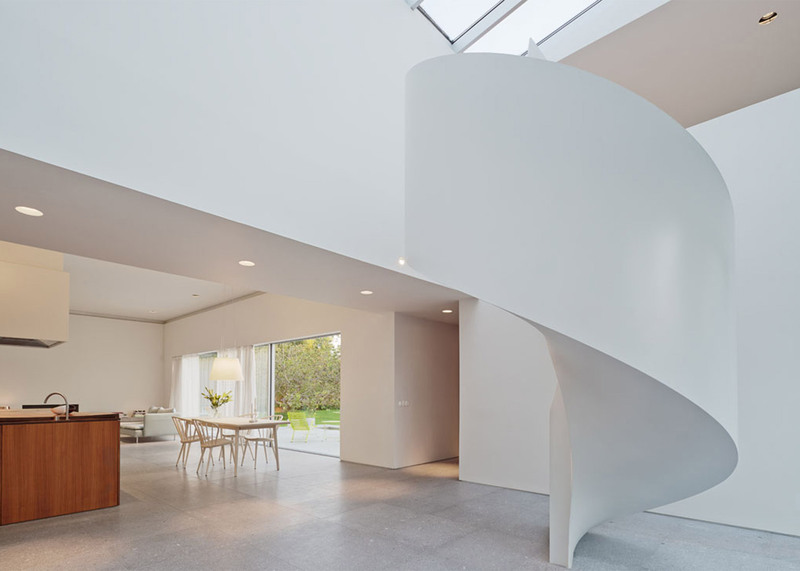 "Spiral staircases can possess a sculptural quality that can make a room beautiful," explained Lindvall, whose studio Lindvall A & D is based in nearby Limhamn. "With a skylight directly above and a sliding partition leading to a smaller outdoor terrace beyond the staircase, the dramatic, light-filled area was inspired by winter gardens of the past," said the designer. 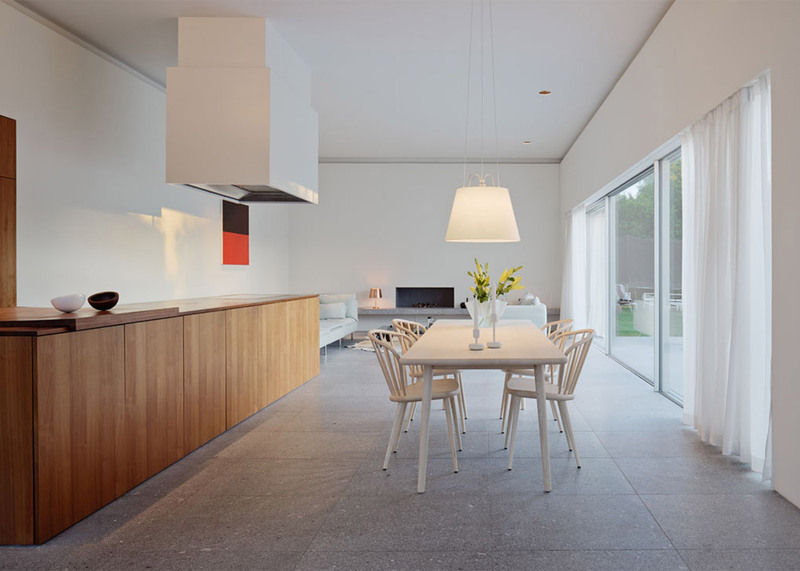 Named Villa J2, the house provides a compact home for a couple and their two daughters in Falsterbo – a popular holiday spot at the country's south-western tip. It replaces a summerhouse dating back to the 1940s, which ended up being demolished to make room on the site. 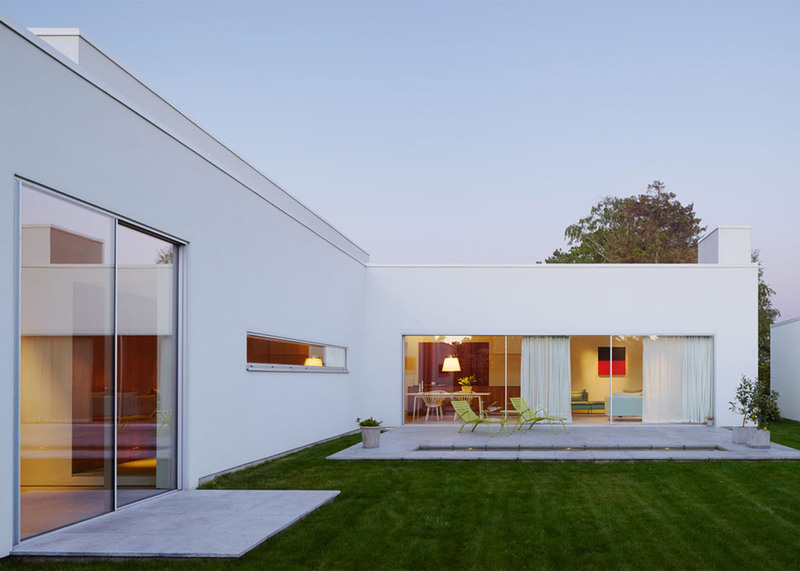 "Our first idea was to build an addition to the existing house, which in itself was a building that had been added to over a period of more than 50 years," Lindvall told Dezeen. "However, hard-handed builders misunderstood their task so they actually demolished the existing building," he revealed. "This meant that we had to construct an entirely new house." The house is largely organised over one floor, although there is a small first floor containing one room. It has an L-shaped plan, which naturally divides the interior into its two wings, and is screened from the road by a garage block. A pathway runs along the side of the building towards the entrance, which leads through to a large open-plan living space. Kitchen, dining and living spaces are all located to the left, while the staircase is on the right. A long and narrow corridor leads through to the master bedroom suite and the children's rooms, which are separated from each other by a playroom. A home office occupies the floor above. 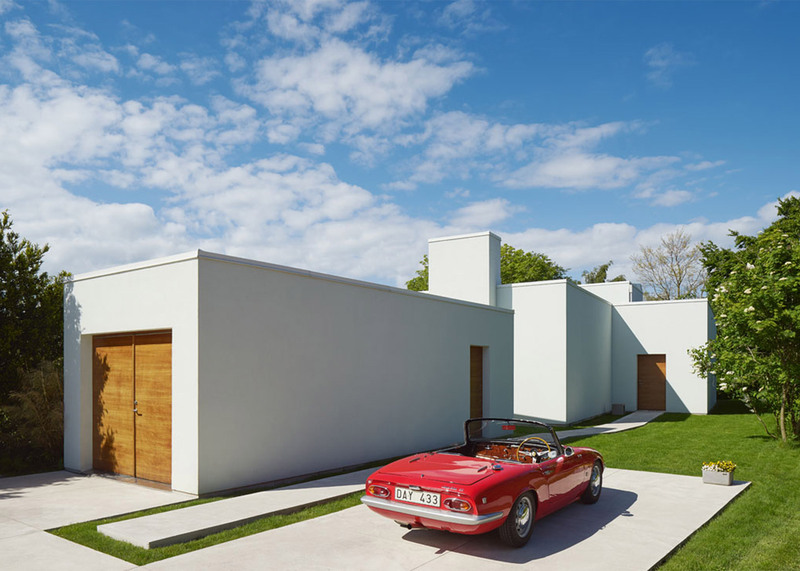 Large glass doors slide back to open the house up to a paved terrace and surrounding garden. Tall shrubbery marks the perimeter, ensuring privacy for residents. 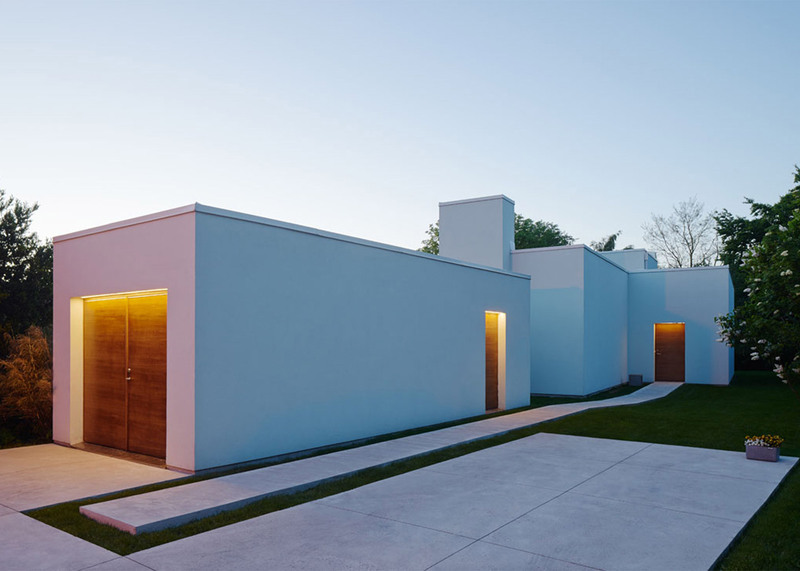 Lime render covers the exterior walls, making them bright white. 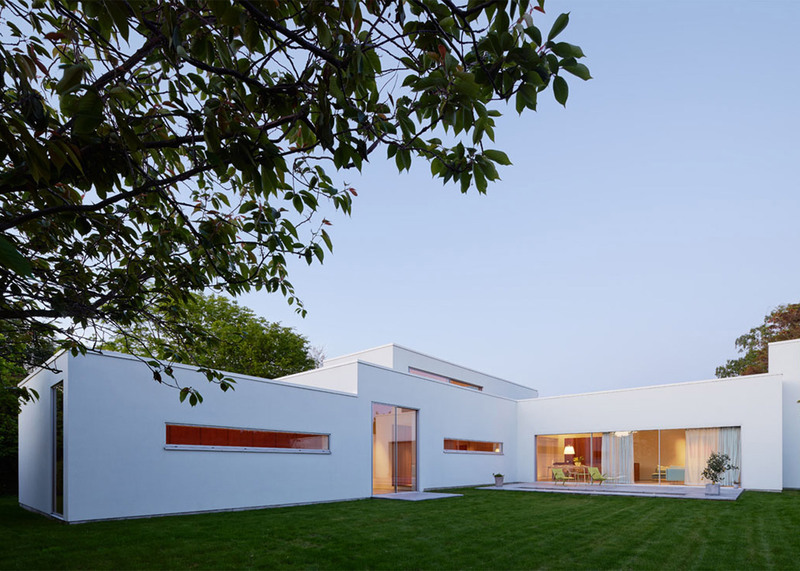 The minimal aesthetic is continued inside, with the addition of white-painted walls and tiled grey flooring, although a few wooden elements bring some warmth. Lindvall trained as both an interior architect and furniture designer, and some of his other designs feature in the house, including his 2011 Miss Holly Chair and his W124T lamp for Wästberg. Other past projects by the designer include a wooden chair that pays tribute to traditional skills.